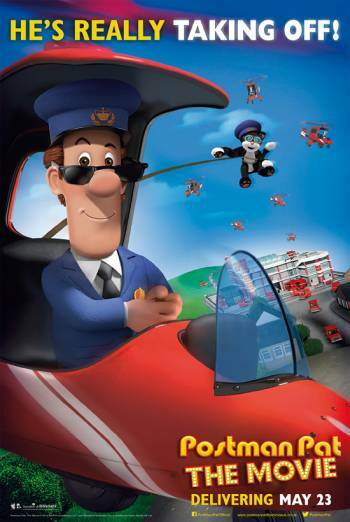 POSTMAN PAT: THE MOVIE is a spin-off of the TV series about the adventure-seeking postman and his cat and follows the hero as he enters a talent contest. There are moments in which characters are threatened by robots, including Pat being threatened by a robot version of Jess who fires beams from her eyes and appears to be indestructible. But the context is clearly fantastical and the heroes win out in the end, preventing anyone from coming to any harm.